Beauty beyond the eye of the beholder. As a Bend company steeped in the culture of Central Oregon, Arrowood Development, LLC recognizes that your investment in a home is so much more than just money. Today, you want to find the location and amenities that will give you the best possible living experience, while building the most equity over time. Tartan Druim is Arrowood’s collection of luxurious single-family homes in the extremely popular resort community of Tetherow. 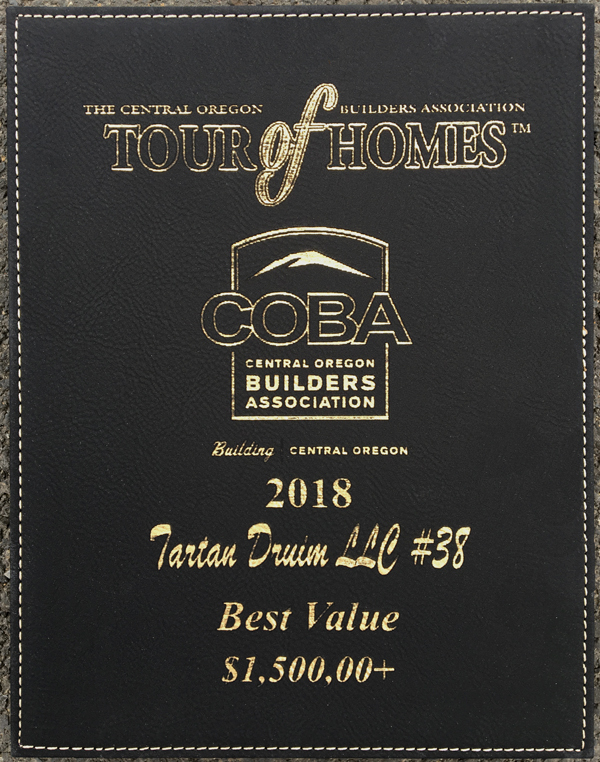 On this summer’s COBA Tour of Homes, the new Tartan Druim model won Best Value for homes listed at $1.5 million and above. The judges obviously recognized architect John Muir’s magnificent 3,581-square-foot floor plan that captures incredible mountain views. Not to mention the immaculate European-style custom kitchen and the detached casita that provides private space for guests and family members. The option to customize floor plans and finishes to suit your needs, taste and budget. Golf, swimming and Tetherow’s many other recreational opportunities. Tartan Place, the new neighborhood community center featuring a fire pit, barbecue, bocce ball courts and three acres of lawn for outdoor games. World-class mountain biking at Phil’s Trail adjacent to the community. Easy access to all of Bend’s year-round recreation along Century Drive and Skyliner Road. Downtown and the Old Mill District just three roundabouts away. No wonder sales are continuing at a brisk pace since the Tour. And even though our featured home is already sold, we have two more spacious spec homes under construction with amazing views just up the street. So make sure Tartan Druim is at the top of your list the next time you tour homes in Bend. It could be the most valuable move you ever make. Prices starting in the low $1,400,000s. Contact us for a showing today.